Looking for an easy (and we are talking minutes here) craft to keep the kids busy before the holiday? Look no further. 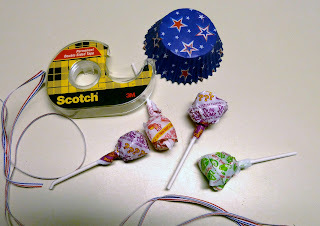 Honestly I often get my craft supplies from unlikely sources, this being no exception. 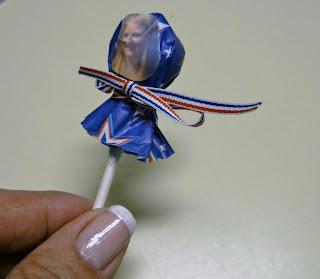 Grab some 4th of July Holiday cupcake liners, ribbon and few other supplies you probably have on hand and whip up some cute personalized Lollipops. 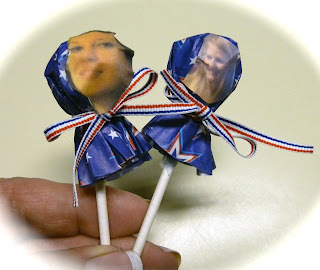 Wouldn’t these be cute using the group photo from last year’s celebration? 1. 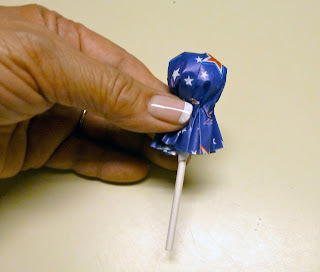 Cover the top of the lollipop with the cupcake liner. 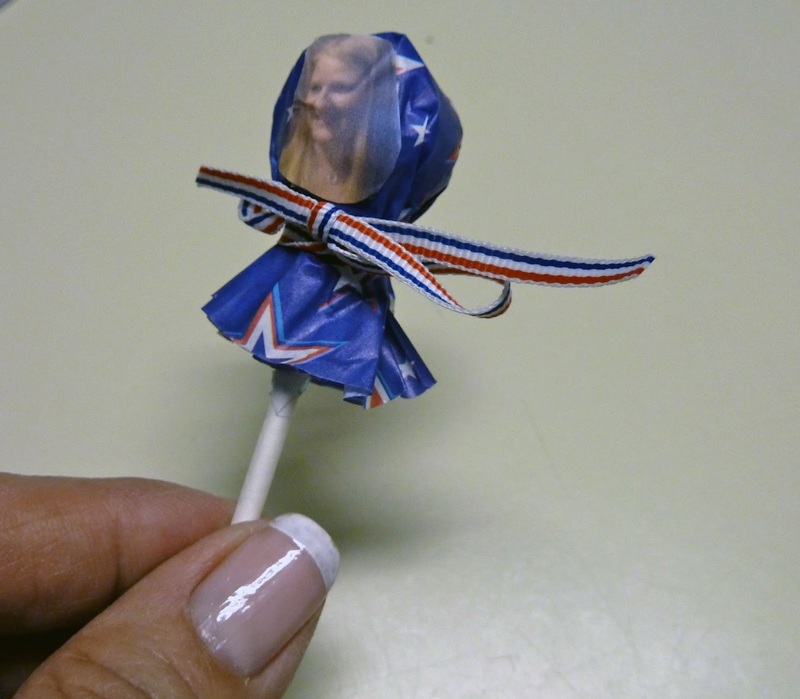 (Printed side facing out) Gather the cupcake liner around the stick of the lollipop. 2. 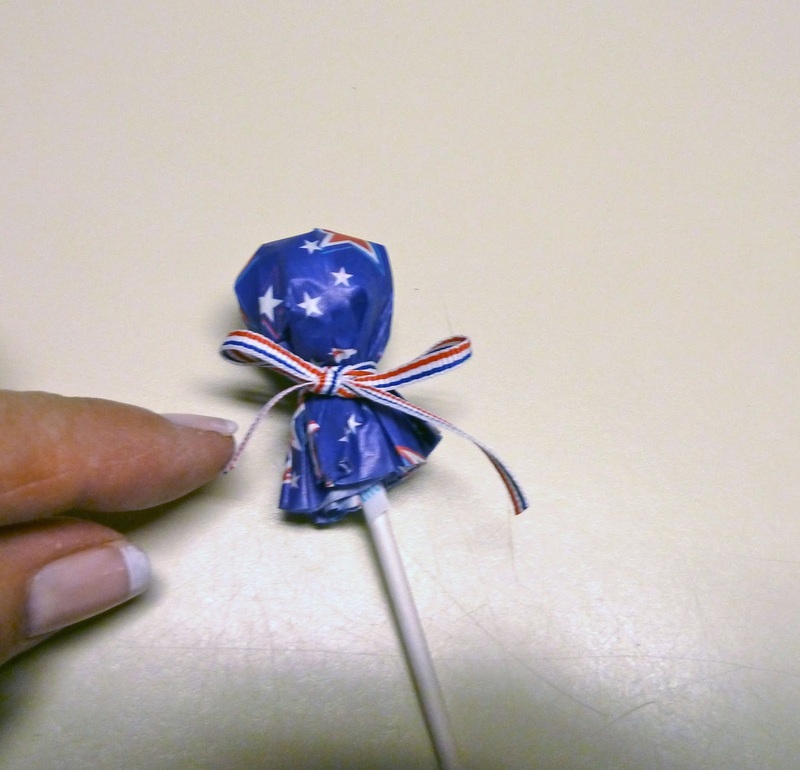 Tie an 8-inch piece of 1/8” wide ribbon tightly around the lollipop to hold the liner secure. Tie in a bow. 3. Print your photo on all-purpose paper making sure the faces are around the size of the front of the lollipop. Cut out each face all around. 4. 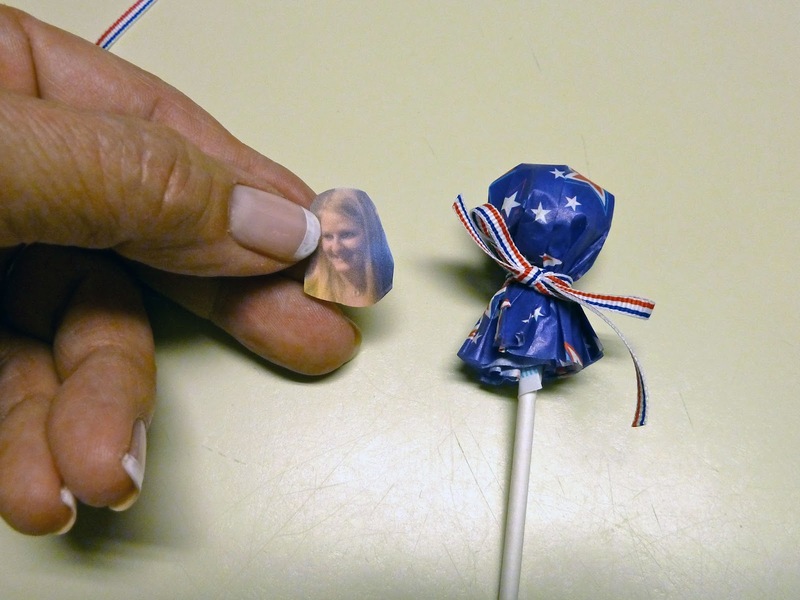 Attach a piece of double-faced tape on the back of each photo face and stick to the front of the lollipop. 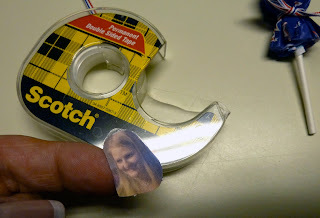 Smooth with your fingers to secure.